You are here: Home / Blog / Hi-5! Charli Robinson just hypnobirthed her baby! Don’t you love a great birth story? 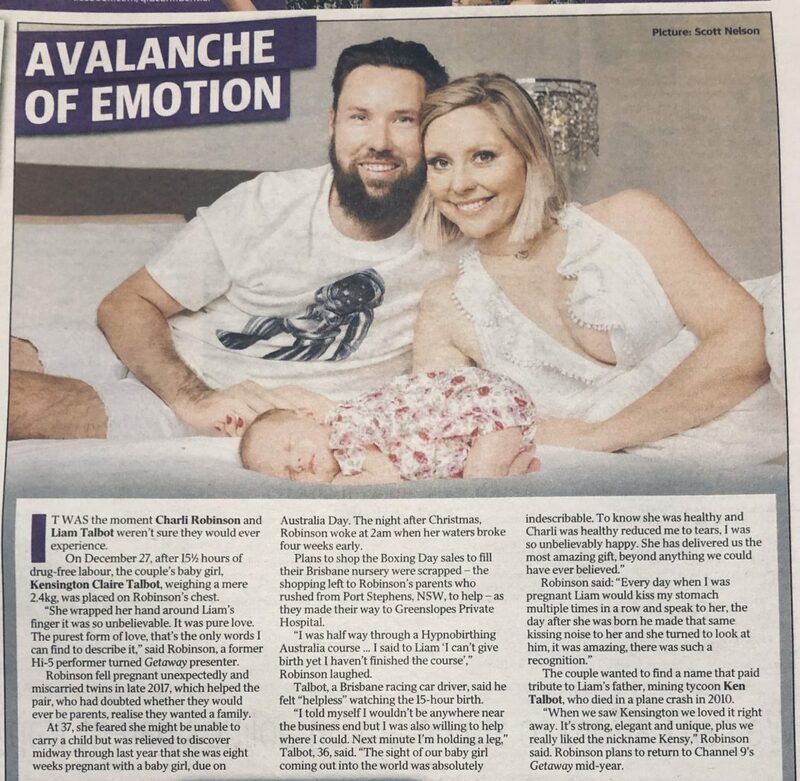 Celebrity (Hi-5 presenter & Getaway reporter) Hypnobirthing Australia™ mama, Charli Robinson and partner Liam Talbot have had their baby girl. Charlie was a bit worried that they were only half way through the hypnobubs course 😂- but she managed a 15½ hour natural labour and we reckon she is a STAR hypno-mama! Congratulations Charli and Liam. We’re so glad that you had a positive and beautiful birth experience. It really does make all the difference. Thanks for spreading the word of positive birthing far and wide!